If your countertops are worn or damaged, and you want to restore your home to its original beauty, come to Bathrooms By Design Inc. for countertop refinishing. We are committed to great customer service, and our technicians take pride in turning something worn and old into something beautiful that you love. You may want to update your kitchen or bathrooms, but simply don’t have the time or the budget for a complete remodel in your Calgary home. That’s where we come in with our countertop refinishing services. Countertop refinishing allows for a complete facelift to your kitchen or bathrooms with minimal downtime and disruption. 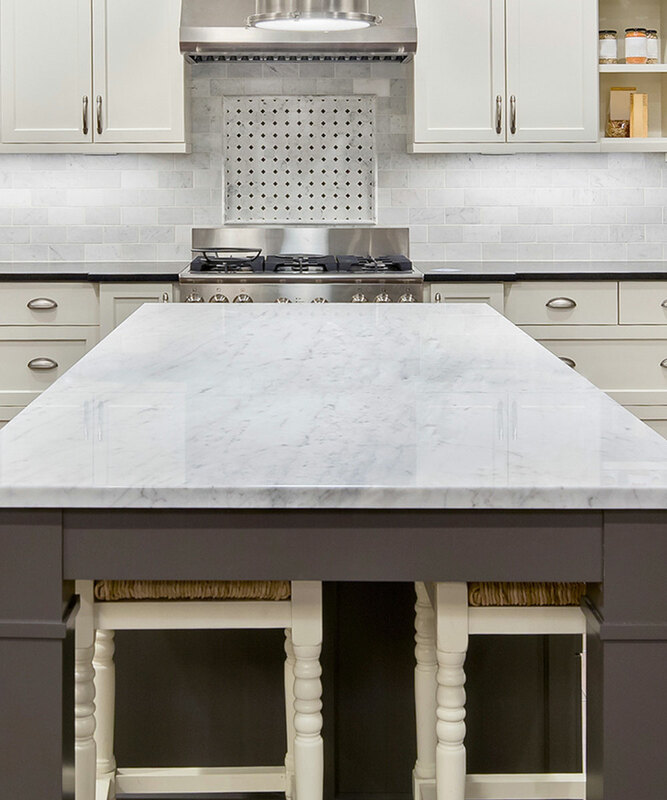 Our services are affordable, and we use only the highest quality products to ensure that refinishing countertops is a possibility for every Calgary homeowner. As your biggest investment, your Calgary home should only be placed in the hands of those you can trust. When done correctly, refinishing your countertops can completely change the look of a room and increase the value of your home. We are happy to offer you refinishing services for several materials: Stone-fleck multi-color finishes, cultured marble, Formica and laminate and ceramic tile. Many homeowners opt to refinish countertops because they can be made to resemble granite or stone without the additional cost that comes from such materials. At Bathrooms By Design Inc., we offer you professional advice and opinions about the best products to increase the value of your home. We vow to always be up front and transparent with our customers, and help you choose the services and products that are best for your family and your budget. To learn more about the process of refinishing your countertops to improve your home, give us a call today at (403) 241-9440. When the people of Calgary want the best in home remodeling, they come to us first.